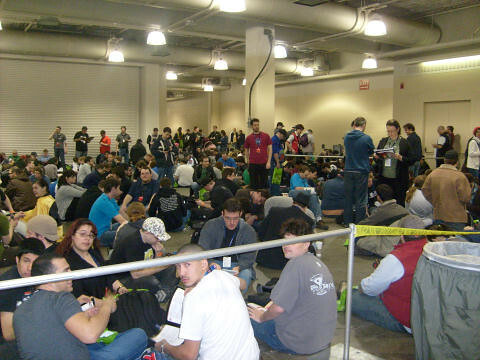 Welcome to PAX East 2010, as gamers have descended upon the Hynes Convention Center in hordes to pick up their passes and sit in line, as above, for entry. 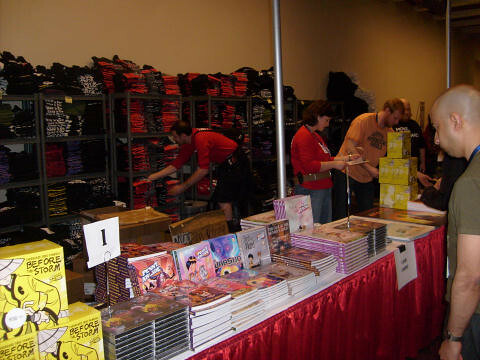 The show doesn’t open til 2PM today, but not to worry: there’s plenty of swag to buy while you wait. And trust me, there were tons of gamers willing to shell out money for PAX licensed swag. No credit cards – cash only, please. Video Game Editorial: PSN Credit Card Security?